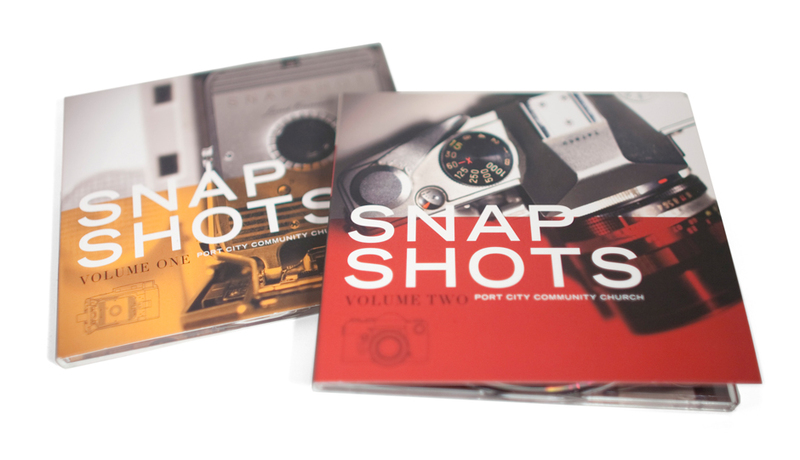 Port City Community Church recorded a few live albums and asked me to help put together the album art. 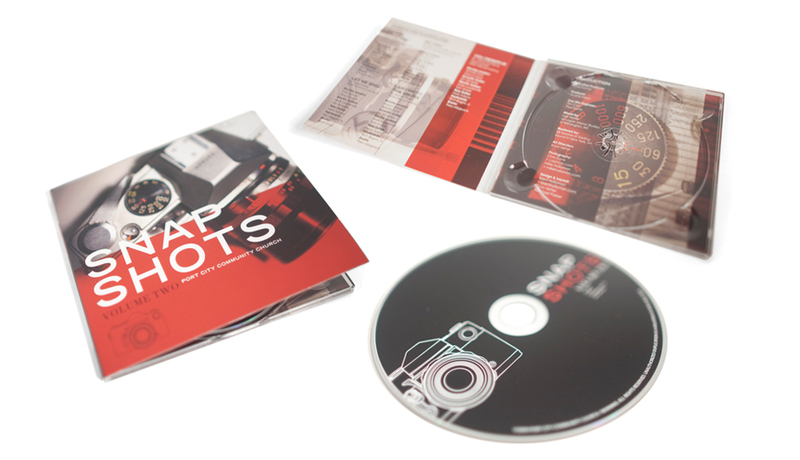 It was a series of EP’s Called “Snapshots”. Evan Vetter, the E*Media director at the time, had the idea to use a different vintage camera for each volume. Here is Volume 1 and 2.